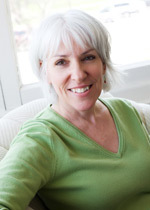 Jane A. Kelley, LCSW is the founder and director of the Kelley Clinic, LLC. She has been practicing in the Milwaukee area since the mid-1980’s. She received her Master’s Degree in clinical social work from the University of Wisconsin-Milwaukee in 1988. Jane’s therapeutic approach is grounded in the body/mind/emotions/spirit connection, in her desire to help clients on their path to wholeness. She carries specialties in the area of addiction, i.e. AODA, relationship dependency, and compulsive overeating. In addition, she is trained in grief and loss; depression; anxiety; infertility and childbirth concerns; issues related to spirituality and sexual orientation. In 2010, Jane completed a 5-year Analyst Training Program at the C. G. Jung Institute of Chicago and became a Jungian Psychoanalyst. 1991-present – Seminars given in 1-day; 2-day; weekend; weeklong formats.